Nested in the middle of the woods the homeowner desired an experience where dinner could be served and conversation could easily be continued around the fire. 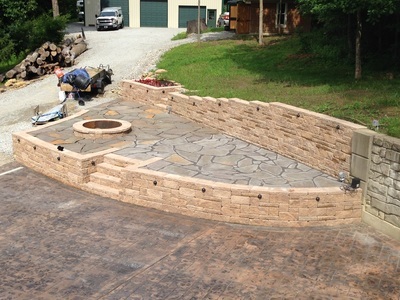 The project included 1200 sq. 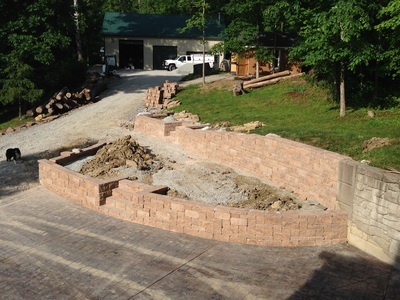 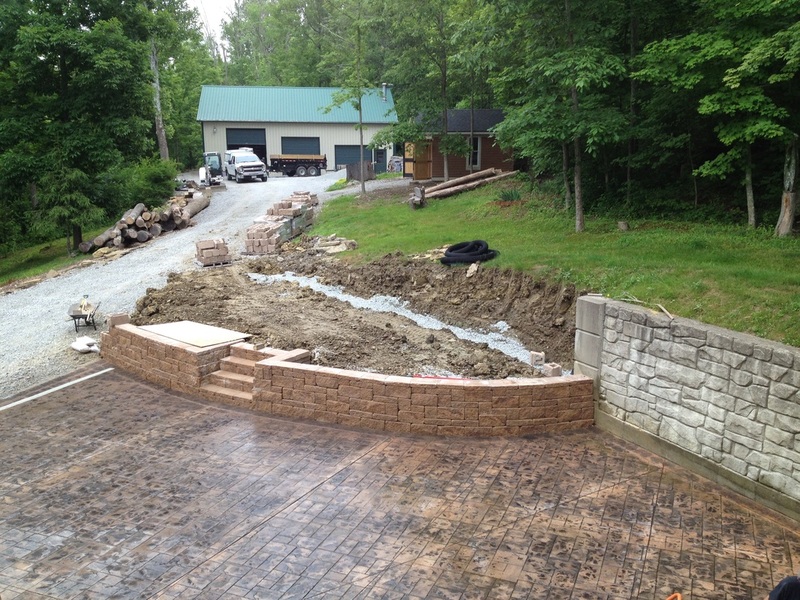 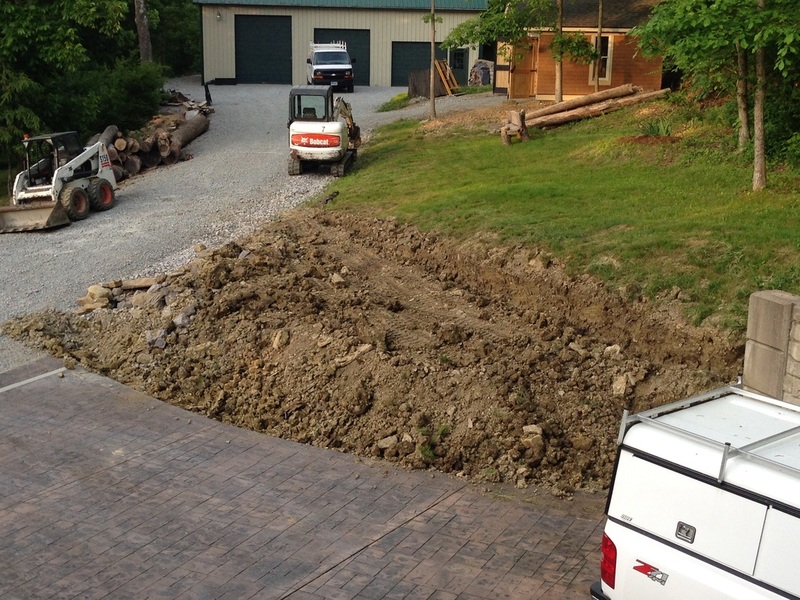 ft. of stamped concrete, 450 sq. 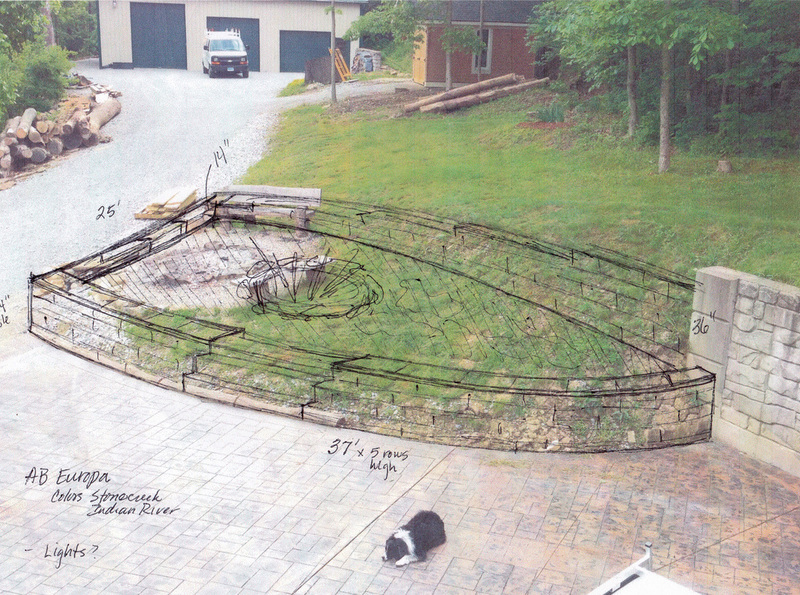 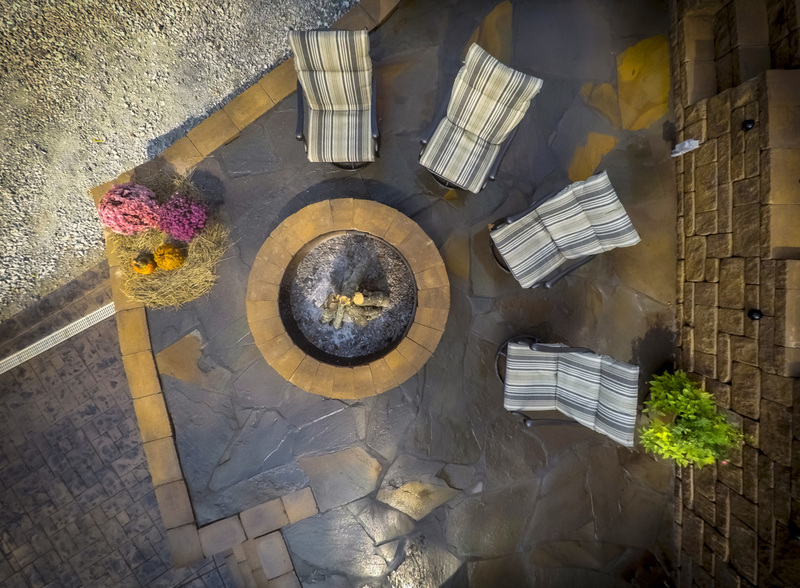 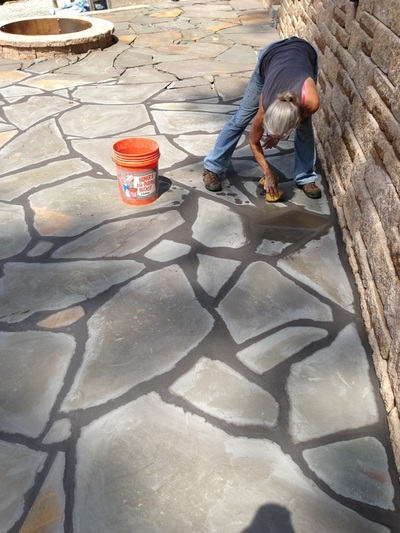 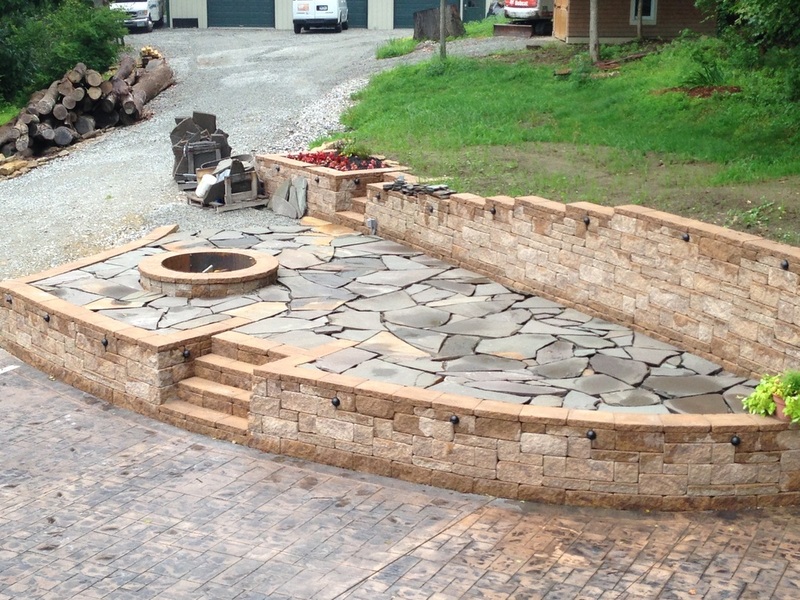 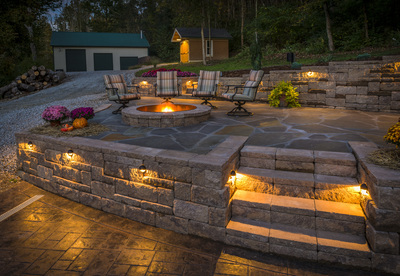 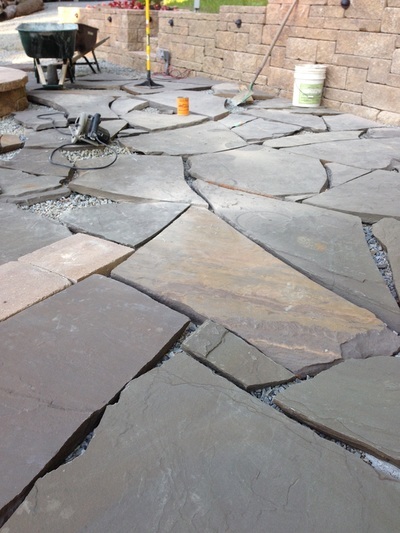 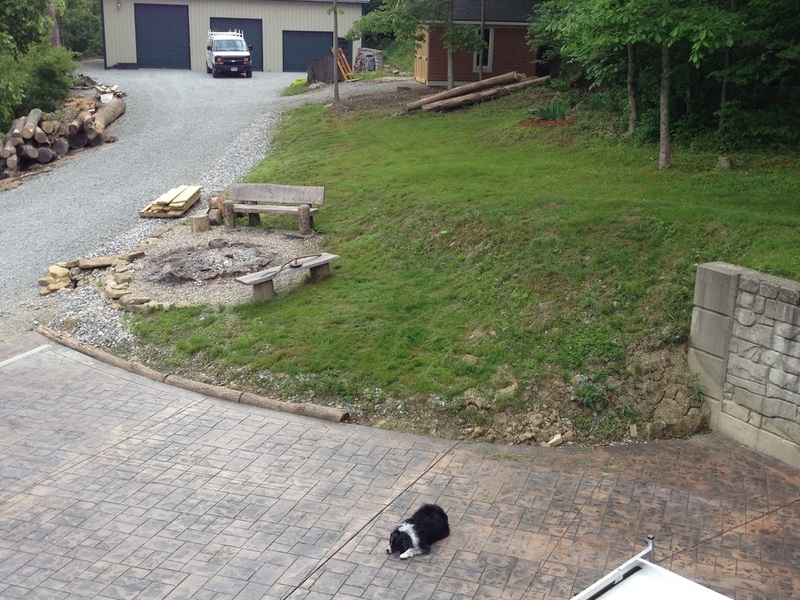 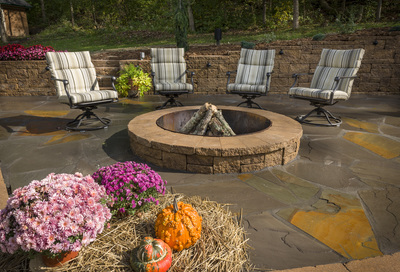 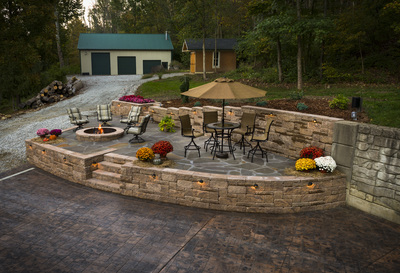 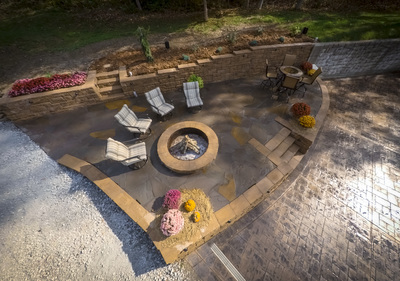 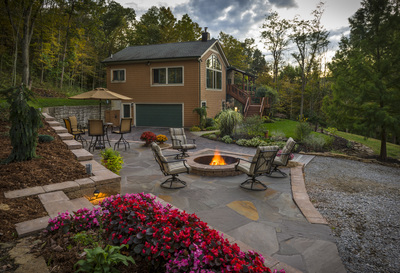 ft. flagstone patio, custom made 50" steel liner for the fire pit and low voltage lighting. See Video Below or Click to go to a separate video page.